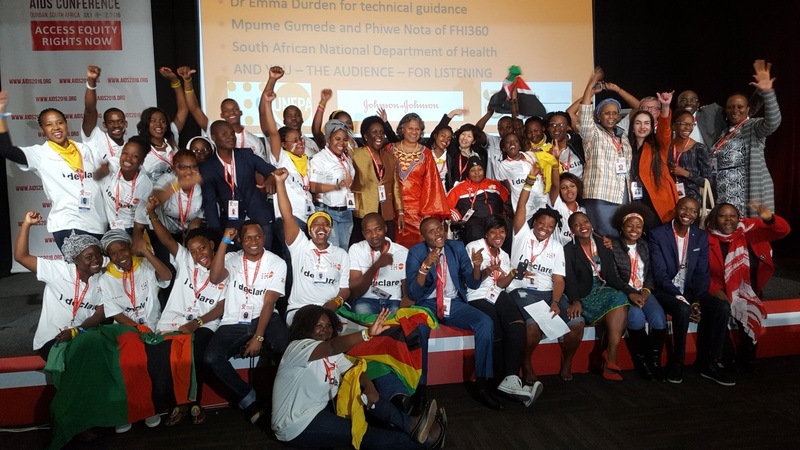 Dubbed a session with a difference, on 18 July 2016, UNFPA Country Office in South Africa, in collaboration with Johnson & Johnson and the South African National Department of Health hosted a vibrant and lively Youth Satellite Session at the 2016 International AIDS Conference in Durban. 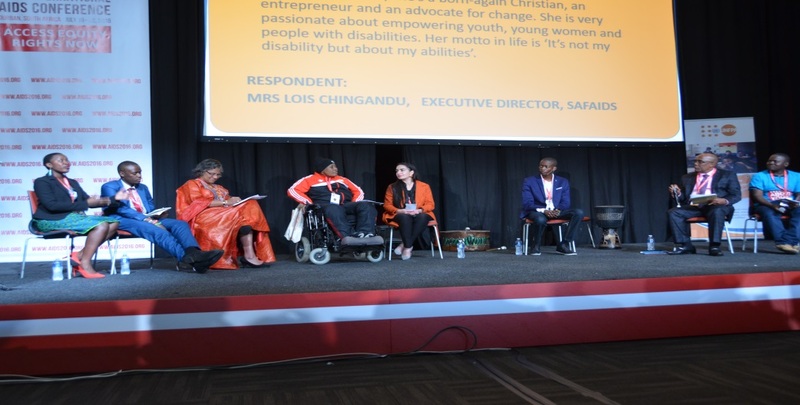 The South African Minister of Health, Honourable Dr Aaron Motsaoledi, SAFAIDS Deputy Executive Director, Ms Rouzeh Eghtessadi and UNFPA Regional Director, Dr Julitta Onabanjo, joined the young people as respondents, engaging them in meaningful dialogue to end AIDS and achieve Universal Access to Sexual and Reproductive Health and rights by 2030. Special representation was ensured from young people living with HIV, young key populations, young people with disabilities, and young people who are survivors of sexual violence and child marriage. The key networks that were represented included: DREAMS Youth Ambassadors, UNFPA Youth Advisory Panel members, Africa Young Positives, and Africa Youth and Adolescents Network for Population and Development (AfriYAN). The objective of the session was to highlight the commitment of young people towards achieving an AIDS Free Generation. They creatively shared their perspectives, challenges & stories and showcased youth leadership in ending AIDS and achieving Universal Sexual Reproductive Health and Rights by 2030 through creative arts and performance. The images and poems focused on areas where young people turn for support, and where they have been let down, for example at school, at home, health- care setting and in the community. A powerful poem was a positive affirmation that when young people work together, they can support each other and bring about change! An HIV and AIDS free zone.